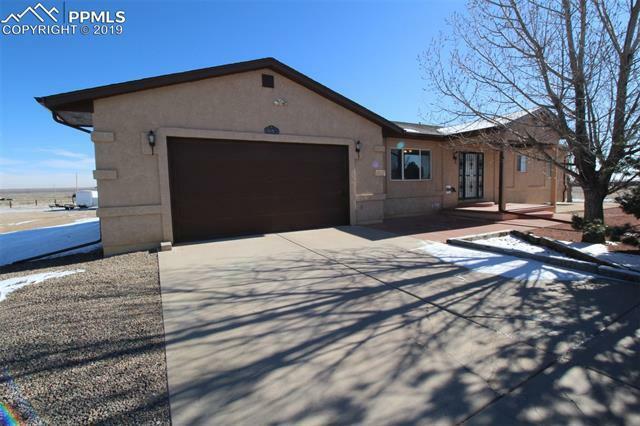 This is a great ranch style home in North Pueblo West! The huge lot is fully fenced for horses. There is a nice circular asphalt driveway with lots of off street parking. Plenty of room for RV's or toys. The 24x24 garage has a lot of space for at least 2 cars and probably some toys too! There are two outbuildings, one is a metal carport and the other is a carport with some inside storage too. Inside you'll find a gas fireplace AND a pellet stove.